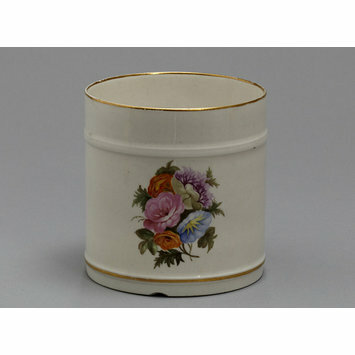 Mug of porcelain painted with enamels and gilded. Cylindrical with two horizontal ribs in relief and a J-shaped handle. Painted on the front with a bouquet of roses and other flowers. 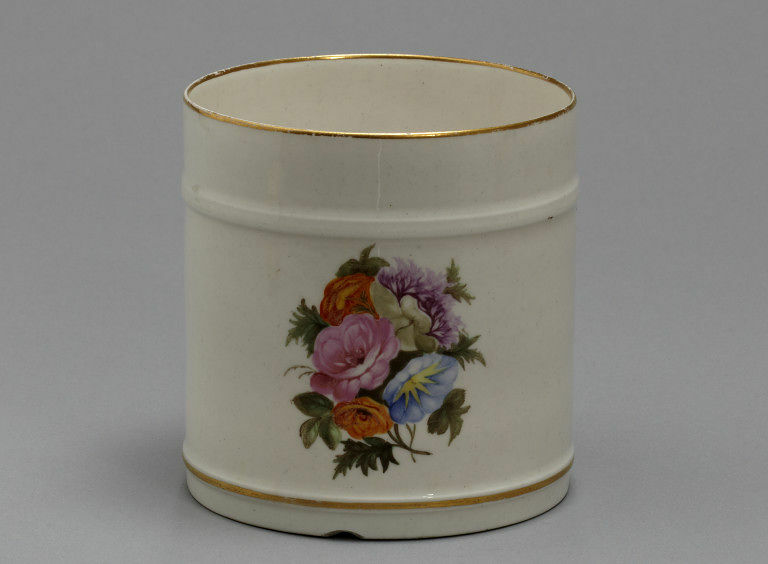 Mug of porcelain painted with enamels and gilded, probably painted by William Billingsley, Pinxton Porcelain Factory, Pinxton, ca. 1800.